If you’ve ever wanted to own a bona fide racing machine but didn’t have the money or vanity to go for one of the $100K-plus literbikes on the market right now, I’ve got good news for you; Yamaha updated its mid-size [YZF->mot1937-R6 in MY17, and it can be had without selling a kidney or your firstborn. 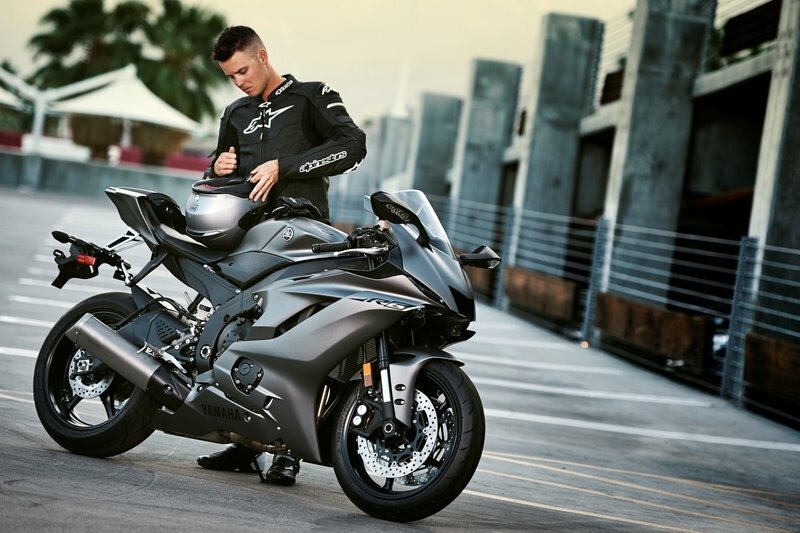 At just over the $12K mark, the R6 claims over 120 horsepower with a host of features to help riders manage the tremendous forces this thoroughbred generates. The 600 cc-ish bracket has been getting a little stale as of late between competition from the liter category and the burgeoning interest in the 300 cc bikes, so the updated version of a proven mid-size racetrack champ is exciting news indeed. I’ve been really looking forward to dissecting this blue rocket, so join me whilst I partake of what Yamaha has to offer. 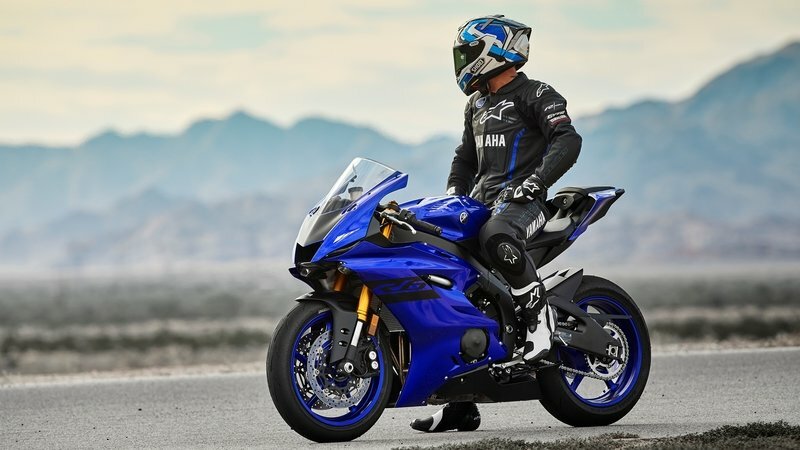 Continue reading for my review of the Yamaha YZF-R6. The redesigned aluminum fuel tank pulls the rider 'into' the bike more than the previous models, and this allows for easy tucking and a more 'intimate' fit. 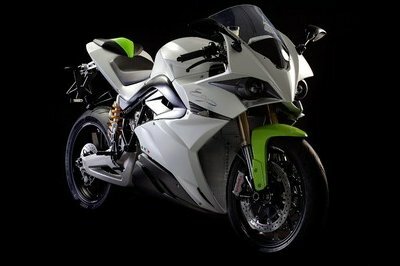 The Tuning Fork Company tweaked its wind tunnel-tested body panels and fairings further yet for the MY17 R-series. This isn’t to suggest that it was ever anything less than a function-driven form, of course, merely that it’s even better since the update; to the tune of an 8-percent decrease in drag-induced power loss. LED lights set into the angry-alien visage lead the way below the revamped bubble screen that further reduces helmet buffeting with a generously-sized, dead-air pocket that’s easily hunkered down into to escape the slipstream. You can pencil me in as “not a fan” of the standoff mirrors, but there is redemption to be found in the decision to incorporate the turn signals into the actual mirror housings, to be fair. The front fender is about as minimal as it gets, and it’s further lightened by cutouts on each side that double as vents. From there, the gaping maw of the front fairing opens up to funnel air over the radiator and exhaust headers, and it, too, carries strategically-positioned vents to reincorporate the cooling air back into the slipstream while reducing the low pressure at the trailing edge of the cowl to further reduce drag. Granted, this is nothing new in the industry, but while lesser bikes might carry such details as a purely aesthetic feature; Yammy’s actually works. A few other cutouts give tantalizing glimpses of the engine while providing an escape for heat coming off the cases to prevent thermal buildup within the engine compartment. The redesigned aluminum fuel tank that made its appearance last year rides above it all. The tank and seat design pull the rider into the bike more than the previous models, and this allows for easy tucking and a more intimate fit. 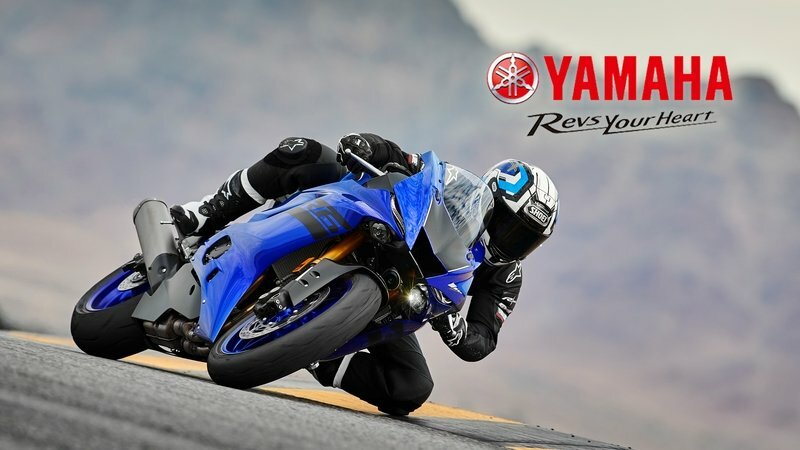 Yammy ripped the hind quarters off the big-brother R1 to round out the updated style and performance of the R6. In the end, it really is a beautiful bike, made even moreso by its capabilities. In spite of its smaller displacement and lighter weight, the R6 boasts the same front brakes as the R1. An aluminum “Deltabox” twin-spar frame supports the structure while keeping things light with just the right amount of flexion and rigidity for well-behaved cornering according to factory and riders alike. The newly-redesigned buttbucket works with the new fuel tank and lightened magnesium subframe to centralized the weight and leave plenty of room for body English. A hollow swingarm carries a boomerang profile with a cutout on the left side to accommodate the chain, and it relies upon the piggyback KYB monoshock for support and damping action. A pair of 43 mm, inverted KYB forks replaced the old 41 mm stems with last year’s update, and suspension at both ends comes fully adjustable so you can dial in for road/track conditions and preference. Suspension and frame setup make for some very supple cornering with fast and controlled flicks and reversals. 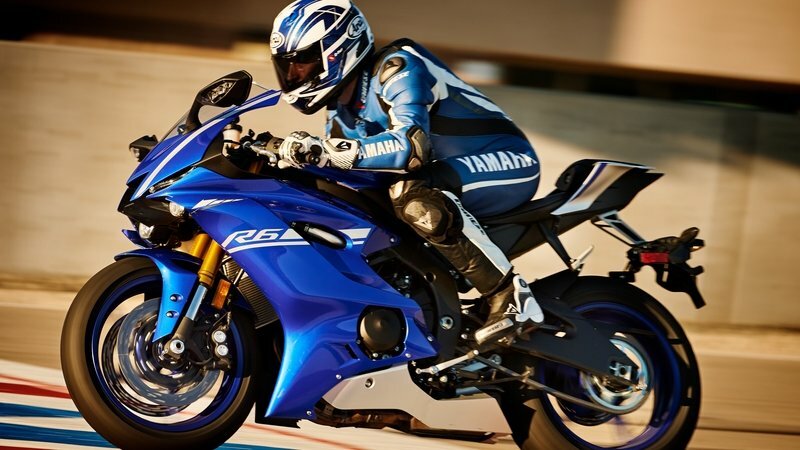 In spite of its smaller displacement and lighter weight, the R6 boasts the same front brakes as the R1. A pair radial-mount, four-pot, opposed -piston calipers bite the dual, 320 mm front discs while a lightened caliper grips a 220 mm rear disc, thus reducing unsprung weight at the rear axle and enhancing contact-patch integrity. Both ends come with a non-switchable ABS. Surprised? Me too, especially since it’s a race bike, but word on the street from riders better than myself is that it’s very unobtrusive and isn’t likely to upset anyone’s QWAN no matter how in-touch they are with their machine. 17-inch rims round out the chassis with a 120/70 up front and 180/55 to bring up the rear. Generally, we can expect a top speed in the neighborhood of 160 mph, if the pilot has the testicular fortitude for it. The beating heart is a transverse-mount, in-line four that comes with a host of electronic gadgetry on top of the mechanical brilliance of the thing. Massively oversquare, the 67 mm bore and 42.5 mm stroke adds up to a total of 599 cc, and contributes heavily to the astounding 14,500 rpm the thing is capable of turning. Dual overhead cams actuate the four valve heads, and the titanium poppets also contribute to the high redline due to their light weight and toughness. Compression is sizzling hot at 13.1-to-1, so as you might expect you can go ahead and disabuse yourself of the notion that you’ll be running anything less than the most expensive pump gas available and/or proper race fuel. A ceramic-composite cylinder coating provides wear resistance while reducing friction with good thermal conductivity overall. 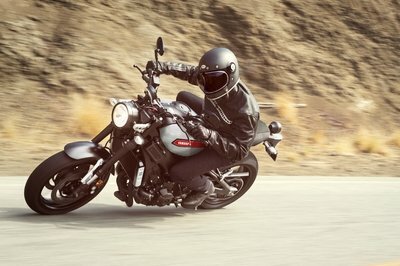 The exotic-metal treatment continues down into the exhaust system as well with a titanium muffler that peeks out on the right side, and carries the waste gas well to the rear and clear of the rider’s foot and the rear wheel. Yamaha’s proprietary chip-controlled throttle and intake controls the length of the variable inlet tracts, a feature that makes for a broader powerband than one can expect from fixed-length intake manifolds, especially at the bottom end. The electronic throttle control enables the D-mode feature that can switch on the fly between three separate power-delivery profiles, and the traction control feature that comes with a six-way adjustment that can be turned off altogether. All of this gives us a total of 122 horsepower at 14,500 rpm and 42.4 pound-feet of torque at 11,500 rpm. This power flows through the anti-hop, backtorque-limiting slipper clutch to the “stacked” transmission that minimizes its length through a triangular arrangement of the shafts with a tough chain final drive. What does this give us? Well, individual results will vary, but generally one can expect a top speed in the neighborhood of 160 mph, if one has the testicular fortitude for it. For what you get, it's almost too affordable; the price doesn't act as a firewall to prevent inexperienced riders from getting in over their heads. As amazing as all this is so far, the fact that the Tuning Forks let go of the thing for only $12,199 may be the most impressive part yet. Granted, the quick-shift accessory and other racing bits and bobs will inflate that a bit if you plan on hitting the track, but as far as a base price for the platform itself, the sticker is quite reasonable. If there’s a negative takeaway here, it’s that the price doesn’t act as a firewall to prevent inexperienced (read: young and testosterone poisoned) riders from getting in over their heads. With a ride like this I’m obligated to stay within the MotoGP category, but Honda is standing ready with its CBR600RR for my head-to-head. Like the R6, the CBR is set up for road use, but with very little work can be turned into a pure-D, race-day machine. If nothing else, the overall looks of these rides illustrate that at the top end of performance design there is little room for individuality, at least within the broad strokes. Individual touches such as the position and number of cowl vents, mirror details and minor variations in the flylines are about all you get to play with. Having said that, the CBR still manages to convey that somewhat-blocky Honda panache in spite of the curves, and the R6 comes off with much more of a speed-sweep to its lines. I thing we can agree that looks are probably not at the top of the list of considerations if you’re looking at machines like these, so let’s get to the hardware shall we? Honda runs a set of Big Piston Forks up front with full adjustability to match the performance of the R6 stems, but keeps the smaller, 41 mm diameter that Yammy relegated to the history books this year. 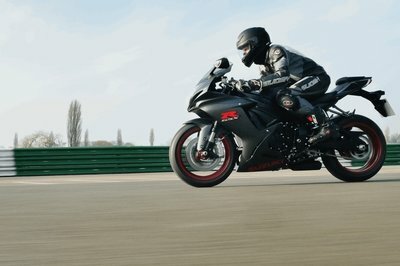 Likewise, the CBR runs a fully-adjustable rear monoshock to tame the swingarm, and so neither gain an appreciable advantage here. Like the forks, Honda’s dual front brakes are just a skosh smaller at 310 mm, compared to the 320 mm discs on the R6. Honda’s brake augmentation is a mixed bag; you can get vanilla brake control with nothing but honest feedback, or you can opt for the combined-brake/ABS feature that shares braking pressure between the front and rear for balanced braking with an anti-lock function on overwatch. One area Honda definitely gains an edge is in the steering damper department; namely, it has one while the R6 runs a plain steering head. It’s small, but there it is. 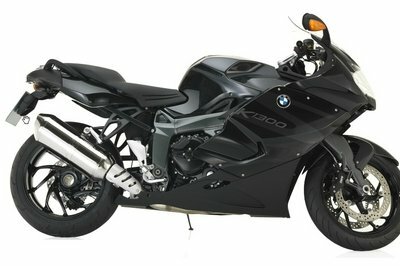 Both run a 599 cc, water-cooled four-banger with an identical, 67 mm bore and 42.5 mm stroke. While Honda uses a nifty dual-stage injector system that is supposed to aid in fuel atomization/vaporization, the Red Riders mainly keep things uncomplicated with the engine controls, and it has no answer for Yamaha’s electronic wizardry in the propulsion department. Claimed dyno results point to a slight advantage in horsepower for Yamaha with Honda pushing out only 100 ponies; 22 horsepower short of the R6. The torque numbers offers the CBR a tad of redemption with a 44 pound-foot output against 42.4 from the R6. Top Speeds reflect the power difference with Honda clocking something around 127 mph versus 160 mph from the R6, but I think most of us realize that on the track, skill and cornering abilities are more important than brute top end. 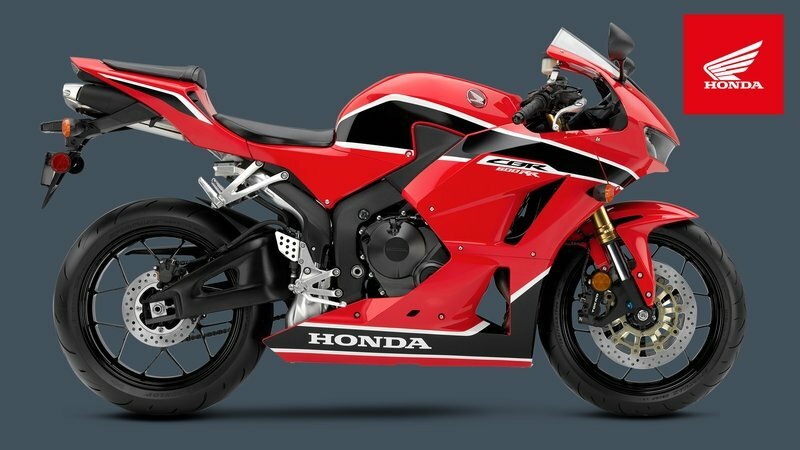 As attainable as the R6 is with its $12,199 sticker, the Honda CBR600RR is even moreso as the factory passes the savings from the simplified engine controls on to the customer with an $11,799 sticker. 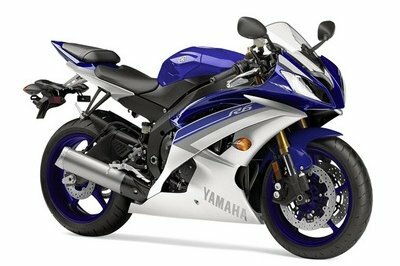 “Gotta say Yamaha didn’t disappoint with its updated R6. In looking at how it stacked up against the CBR I was reminded of just how much of a “game of inches” this particular sector is, as each jockeys for some small advantage wherever the designers can find one." 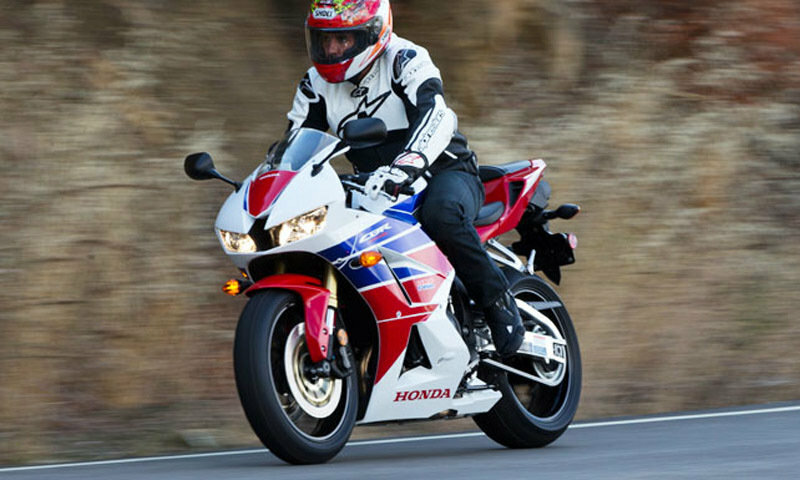 See our review of the Honda CBR600RR.